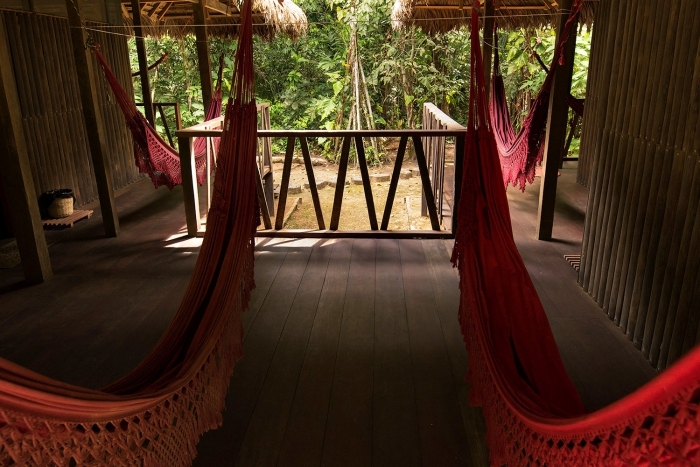 The Madidi Jungle Ecolodge is a low-impact rainforest lodge, 3 hours away from Rurrenabaque by boat, and is a prime location for wildlife viewing, and serves as the base for a variety of hikes of different lengths (more than 40 km of trails surrounding the lodge). 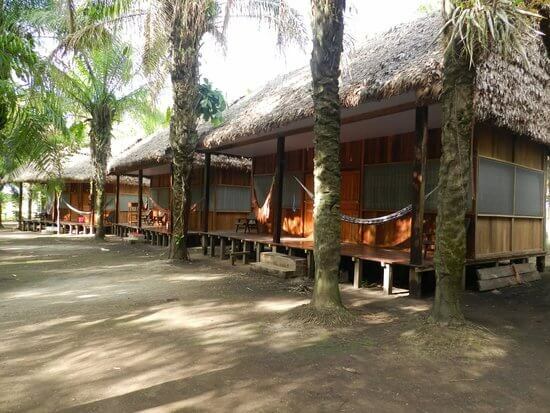 The Ecolodge offers comfortable accommodation, the traditional Amazon cultures housing style cabins are set on the banks of the Tuichi river. 08:30: Departure by motor boat from Rurrenabaque to the Madidi National Park. 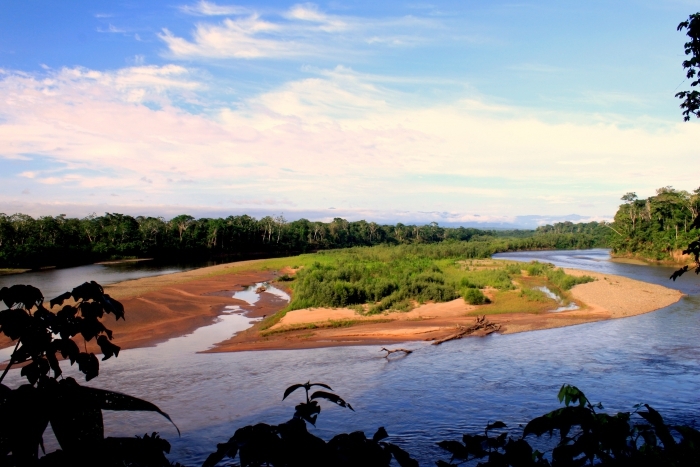 The trip up the Beni and Tuichi Rivers takes 3 hours and is a great opportunity to see the fauna and impressive landscape of the Amazon , such as the Bala Canyon. 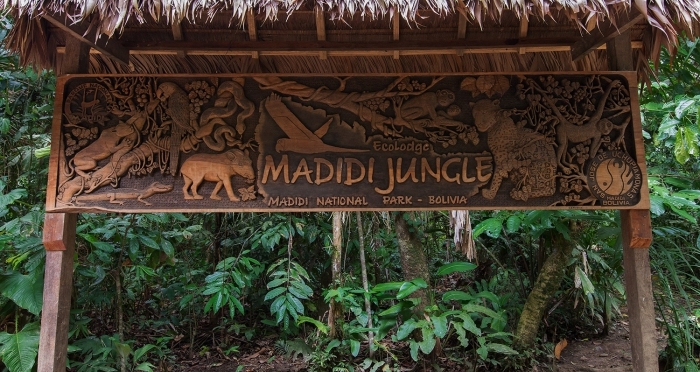 12:30: Arrival to Madidi Jungle Ecolodge and accommodation in our traditional style cabins. 15:00: After lunch we prepare for a 3 hour guided hike along the Tareche Trail. This is an opportunity to observe a variety of bird species, mainly macaws and parrots, and to appreciate the surrounding tropical rainforest. There is the chance also to observe different species of mammals. The common animals observed include the white-lipped peccary, the brown capuchin monkey and the red howler monkey. 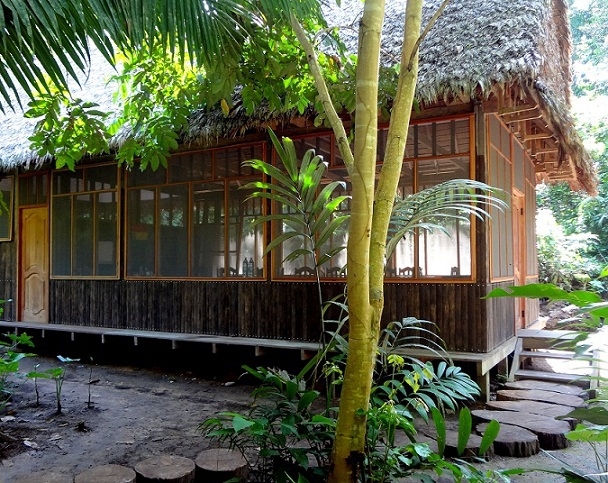 After watching the landscape and hiking along the Aguapolo river bank, we return to the Ecolodge by the Wabu Trail. 19:30: Dinner at the Ecolodge. After dinner you will have the opportunity to experience a short night hike to feel the nocturnal wildlife. During this walk you will be able to see amphibians and many insects, such as the tarantula. Listen to the jungle symphony produced by the uncountable variety of wildlife. 07:30: Breakfast at the Ecolodge. After breakfast we prepare for a 3 hour guided hike along the Biwa Trail, where black spider monkeys are often encountered. This is an opportunity to observe a variety of ecosystems and to connect with deep nature. Along this trail you will stop at the natural Madidi scenic viewpoint, where you will have an ideal panoramic view of the rainforest´s canopy. Return to the Ecolodge along the Tareche Trail. 12:30: Lunch and an opportunity to relax in the hammocks. 15:00: We will go on a 3 hour guided walk by the Mapajo and Almendrillo Trails. Along these trails, you’ll appreciate the Giant Kapok Tree, Almendrillo Tree and the Strangler Fig Tree. Accompanied by a local guide, you will be provided with an in-depth explanation of the diverse species of plants used for medicinal purposes and ancestral benefits. It is a great opportunity to understand, appreciate and learn about the Amazon ecosystems, while observing the pristine environment and different species of wildlife. Return to the Ecolodge along the Dati Trail. 19:30: Traditional dinner Dunucuabi (catfish wrapped in leaves) at the Lodge, and free time. 07:00: Breakfast at the Ecolodge. After breakfast we will take a boat upstream along the Tuichi river, arriving at the Serere Trail. Hike by the floodplain jungle to the Piraña lagoon where you will have a chance to see yellow squirrel monkeys and the opportunity to try and fish for piranha. After the fishing activity, you will arrive into a large, recently discovered mammal salt lick, where you will have the opportunity to learn about animal behavior. Return to the Ecolodge by boat. 12:30: Lunch. 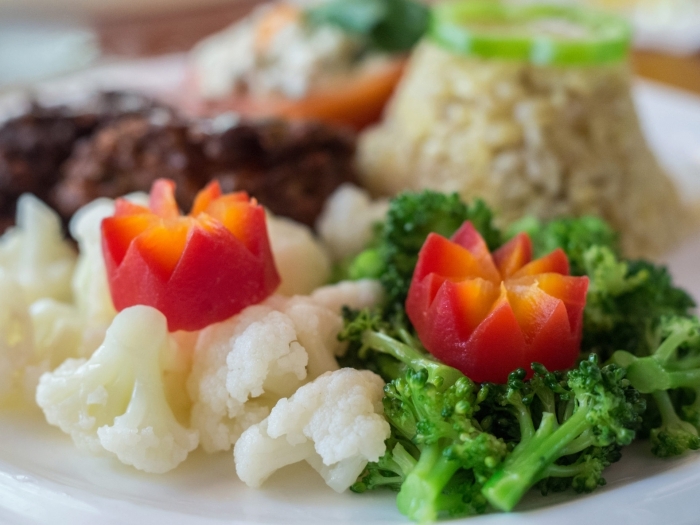 When lunch is over you will have some extra free time to enjoy before returning to Rurrenabaque. 13:30: Return to Rurrenabaque. 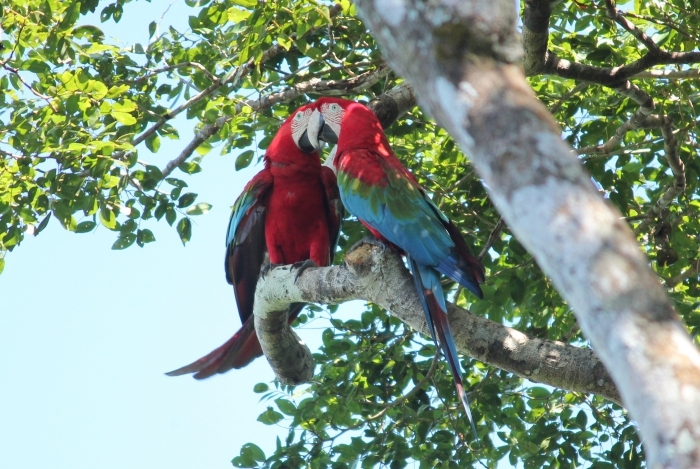 On the way back to the town, you will have the option to visit Caquiahuara where you will have the chance to observe the red and green macaws and other species of parrot. Bird sighting can be done anytime during the year, however, it is more frequent from May to December. The trip is a great opportunity to see some exotic species such as the capybaras, tapirs, turtles and caimans. The return trip takes only 2 hours. 15:30: Arrival in Rurrenabaque. Transfer to the Hotel or Airport. 08:30 Departure by motor boat from Rurrenabaque to the Madidi National Park. 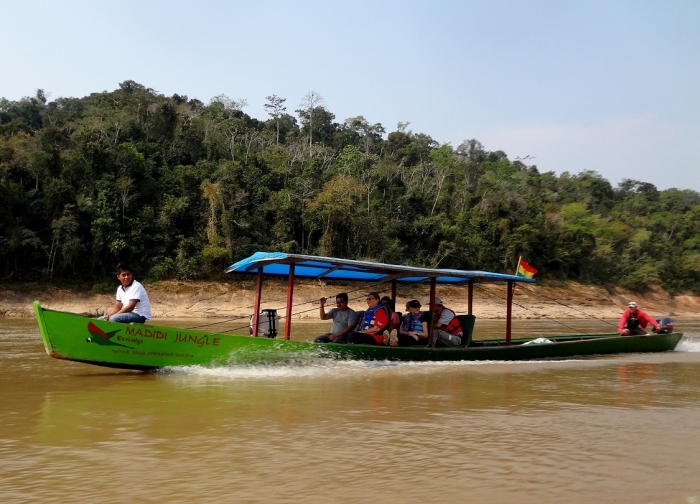 The trip up the Beni and Tuichi Rivers takes 3 hours and is a great opportunity to see the fauna and impressive landscape of the Amazon, such as the Bala Canyon. 13:00: Arrival to Madidi Jungle Ecolodge and accommodation in traditional style cabins. 14:00: Lunch and opportunity to relax in the hammocks. 15:00: We prepare for a 3 hours guided hike along the Wabu Trail, where you will visit the mammal salt lick, locally called “Cullpana”, a strategic area in the rainforest where various animal gather to ingest important mineral salts from the substrata. Also in this area some animals use the mud pools as bathing areas. 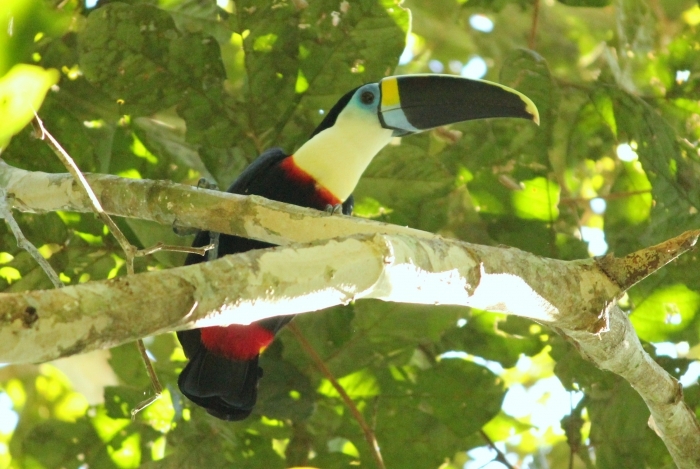 This trail offers the possibility to observe the white-lipped peccary, red howler monkey, brown capuchin monkey, toucan, guans, and many different birds. Return to the Ecolodge along the Tuichi Trail. 19:30: Dinner and free time. 07:30: Breakfast at the Ecolodge. After breakfast, we will start a 3-4 hour guided walk by the Mapajo and Almendrillo Trails. Along these trails, you’ll appreciate the Giant Kapok Tree, Almendrillo Tree and the Strangler Fig Tree. Accompanied by a local guide, you will be given an in-depth explanation of the diverse species of plants used for medicinal purposes and ancestral benefits. 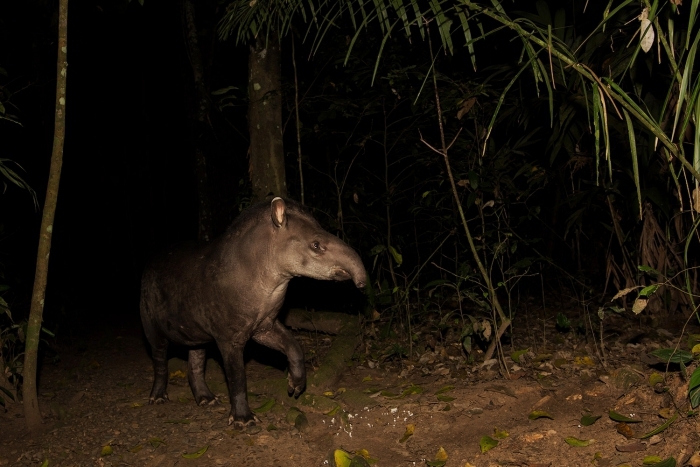 It is a great opportunity to understand, appreciate and learn about the Amazon ecosystems, whilst observing the pristine environment and different species of wildlife. Return to the Ecolodge along the Matapalo and Dati Trails. 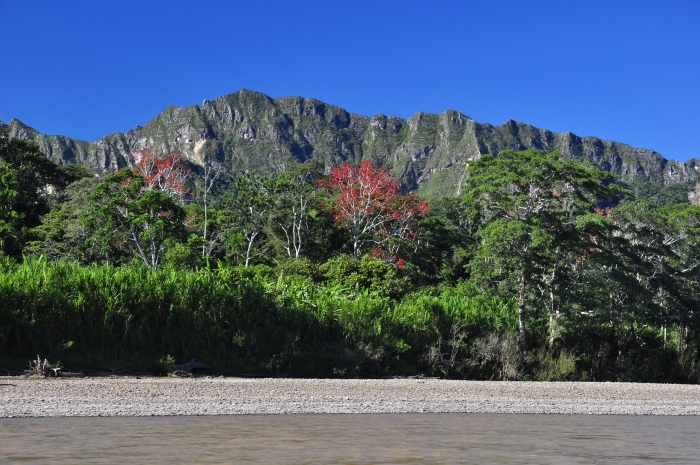 15:00: A short boat trip upstream along River Tuichi will take us to the Serere Trail, where we will enjoy a short hike by the riverside jungle to the floodplain. Here you will have a chance to see yellow squirrel monkeys and Hoatzin birds, the most ancient bird species in South America (related to the dinosaurs). Arriving at the Piraña Lagoon, you can try to fish for piranha. After this optional activity you will continue along the hike reaching a recently discovered mammal salt lick. Return to the river and return to the Ecolodge by boat. 19:30 Dinner at the Ecolodge. 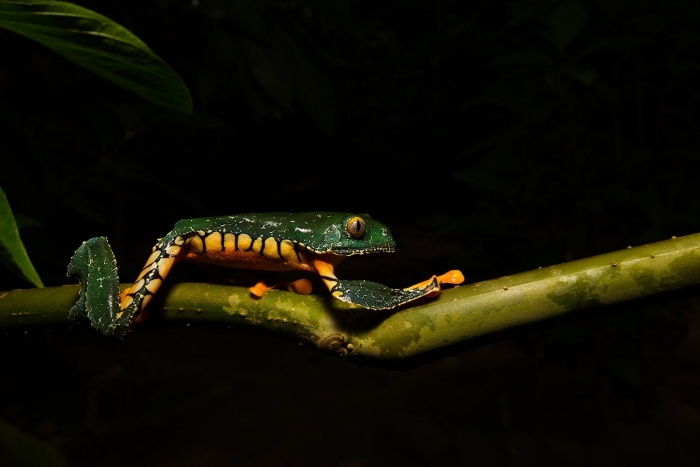 After dinner you will have the opportunity to make a night hike into the jungle to observe the nocturnal wildlife. 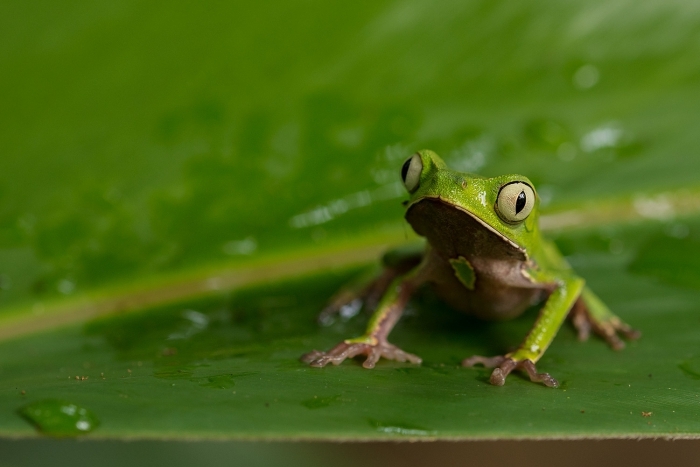 During this walk you will be able to see many species of insect, amphibian and reptile, such us tarantulas and frogs. Listen to the jungle symphony produced by the uncountable variety of wildlife. 07:00: Breakfast at the Ecolodge. After breakfast we will leave on a 4 hour guided walk along the Mapajo and Pavacullpana Trails, considered the longest hike. This route is a great opportunity to observe the tapir, white lipped peccary, brown capuchin monkey, red howler monkey, black spider monkey, saddleback tamarin monkey, guans and toucans. During the itinerary you will stop at a platform from where you will have the chance to observe the largest mammal salt lick in the area, locally called “Cullpana” a strategic point in the rainforest where various animals gather to ingest important mineral salts from the substrata and to have a bath. Here, a wide range of animal prints can be seen. Returning back, we will make a short hike until the river Tuichi and take boat to the Ecolodge, enjoying the relaxing breeze and atmosphere. 13:00: Lunch and opportunity to relax in the hammocks. 15:30: During the evening, you can learn how to make traditional handicrafts, such as rings, necklaces, bracelets and earrings. Assisted by your guide, and using seeds found in the rainforest, you will create your own souvenir step by step to remember your time in the jungle. 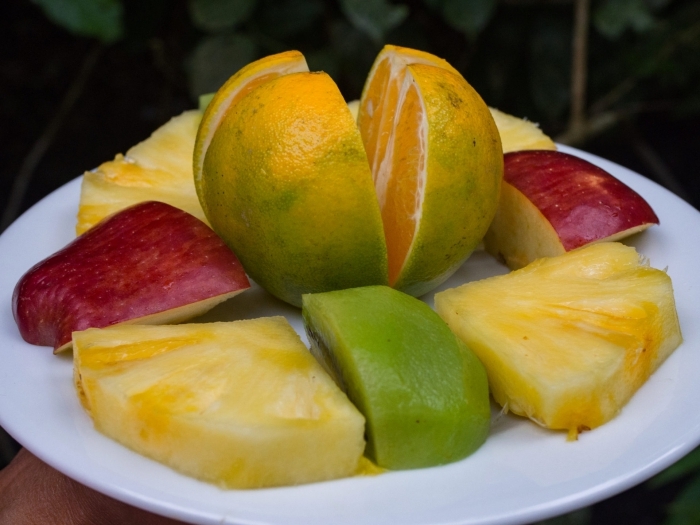 This activity is optional; alternatively you can go on a short walk through the Dati Trail, following the Almendrillo Trail to arrive at a strategic salt lick, frequently visited by Red Howler Monkeys. You will return back by the Mapajo Trail and relax for a while before dinner. 19:30 Dinner. You will be offered a traditional “Dunucuabi” (catfish wrapped in leaves). After dinner, guides can optionally share a history talk about local Uchupiamonas and Tacana cultures. Full Day trip to Santa Rosa Lake. A 2 hour boat trip upstream along the Tuichi river, followed by a short walk, will lead us to the spectacular Santa Rosa Lake. The lake is a paradise where you can enjoy canoeing, fishing for piranhas and wildlife viewing in the deepest Amazon. We will have lunch on the shores of the lake. After resting, we will go on a short hike to visit citric and coffee plantations. Along this way, you will have the opportunity to see yellow squirrel monkeys, brown capuchin monkeys and titi monkeys (Lucachi). The boat trip upstream and downstream is a great opportunity to see the capybaras, caimans, tapirs, and to spot the famous Jaguar. Please note that this activity has an extra cost of USD.30/person (minimum 2 people)-to cover boat transport costs. More than 3 visitors pay USD20 each. 07:30: Breakfast at the Ecolodge. 08:00: We go on a short boat trip upstream along River Tuichi, followed by a short hike near the stream. You will learn about the secondary forest and the characteristics of the floodplain. Back to the river, you will have the chance to experience tubing, an exciting ride in rubber inner tubes, combining the fast-paced rapids of the Tuichi River with calmer waters. A relaxing and unique adventure throughout the pristine environment. We provide life jackets for your safety. Tubing is an optional activity that can be substituted by a return boat trip to the Ecolodge. Tubing activity is offered depending on weather and river conditions. 12:30: Lunch at the Ecolodge. When lunch is over you will have some extra free time to spend before going back to Rurrenabaque. 13:30: Return to Rurrenabaque. 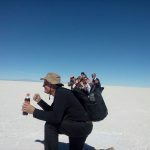 On the way you will optionally visit Caquiahuara where you will have the chance to observe the red and green macaws and other species of parrot. Bird sighting can be done anytime during the year, however, it is more frequent from May to December. The trip is a great opportunity to see some exotic species such as the capybaras, tapirs, turtles or caimans. The return trip takes only 2 hours. 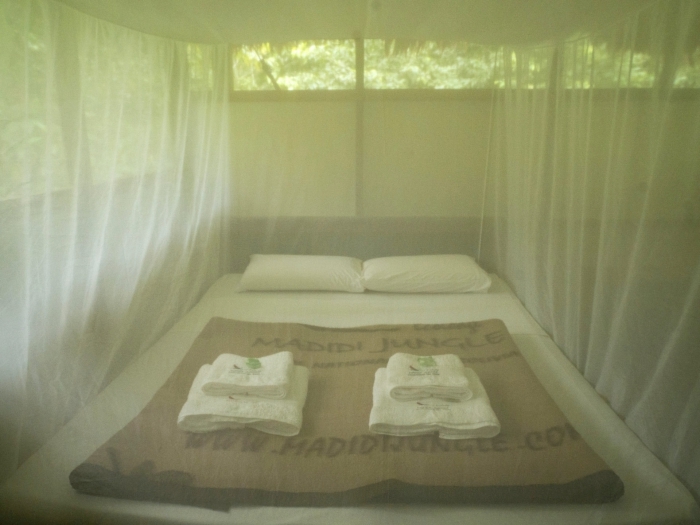 Another lodge deeper inside Madidi National Park is Chalalan Ecolodge. Or if you are looking for a visit combining both pampas and Madidi park then the Caracoles Ecolodge might be the right one for you.